As well as Arsenal v Spurs, the other Premier League Derby that's taking place on Sunday is the game that kicks-off at 16:15pm at Anfield when Liverpool play Merseyside rivals Everton. We've listed online bookmakers best Liverpool v Everton odds below, a preview of the match, and the betting offers and price boosts to use if you're having a bet on the Merseyside Derby. Check out the best odds that British Bookmakers offer for Liverpool to win (H), a win for Everton (A), or a draw (D) below. Use the ALL ODDS tab to view more bookmakers odds. NB: Liverpool v Everton betting odds correct at the time this match preview went live and are subject to change. Last updated: 03:42 on 02/12/2018. As well as online bookmakers best odds for the Merseyside Derby, we've also listed the betting offers and price boosts that you can use when betting on Liverpool v Everton. Liverpool v Everton will be broadcast live on SkySports at 4.15pm on Sunday December 2nd. Join 888sport with promo 'FOOTBALL' and bet £10 on anything you want and you'll get £30 in free bets - and a bonus £10 free bet to use on Liverpool v Everton. 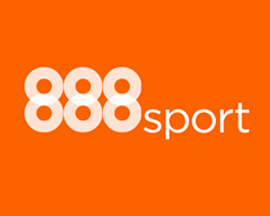 Signup as a new customer at 888sport today using the promo code '888ODDS' and you'll get the boosted price of 4/1 on Liverpool beating Everton instead of 7/20. Expires Sunday 16:30. New customers only. £10 minimum deposit using promo code "888ODDS" required. Qualifying bet must be placed at the normal odds Min bet £5, max bet £5. Extra winnings paid in FREE BETS and added within 72 hrs of qualifying bet settlement. Free bet stakes not included in bet returns. Free bets expire 7 days after credit. This offer may not be combined with any other offer. Deposit balance is available for withdrawal at any time. General deposit method & withdrawal restrictions apply & Full T&C’s apply. Signup as a new customer at 888sport today using the promo code '888ODDS' and you'll get the boosted price of 55/1 on Everton beating Liverpool instead of 13/2. 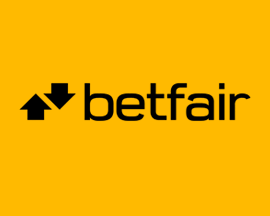 Signup as a new customer at Betfair today and you'll get the boosted the price of 25/1 on Liverpool beating Everton. Plus, also claim up to £100 in free bets! Expires Sunday 16:30. New Customers can get Liverpool at an enhanced 25/1 to beat Everton. Max Stake £1. Winnings paid in free bets, valid for 7 days, only deposits with cards/Paypal count. Exchange and multiple bets excluded. T&C’s Apply. 18+|Gamble Aware. 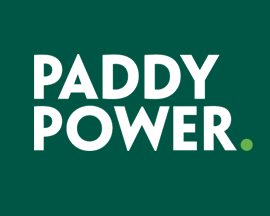 Signup with PaddyPower today and bet £20 on Liverpool v Everton and if you don't win your bet, they'll refund your original £20 stake - in cash! In the second Derby of this weekend’s Premier League action, the other being Arsenal v Spurs, Everton travel the short distance to Anfield to take on Merseyside rivals Liverpool. You’ll find bookmakers offering Liverpool as firm favourites to win this Merseyside Derby. However, with 8 of the last 12 Premier League matches ending in draws, Sunday’s match may not provide Liverpool with the victory they so desperately need. Liverpool traditionally have more success than Everton when these sides meet in the Premier League, and although 8 of the last 12 fixtures have been draws, Liverpool won the other 4. Jürgen Klopp’s squad also beat Everton in the FA Cup earlier this year, and while they'll be putting their unbeaten run on the line, there’s no reason why they can’t beat Everton. In the run up to the Liverpool v Everton Merseyside Derby, we've taken a look at how each side has been performing, and the player injuries that could impact the result of the game. Liverpool are having a stunning Premier League season, and currently sit just 2 points behind current leaders Man City, as one of only 2 sides that are yet to record their first loss. Jürgen Klopp’s side are without a doubt the biggest challengers to Man City’s Premier League crown, and they really need 3 points from this fixture if they want to keep the pressure on. Liverpool have had a couple of strong wins in their last couple fixtures, and while they’re expected to beat Everton, they really need to as Man City face Bournemouth this weekend in what could easily be another win for the current league leaders. If Liverpool can win before playing Burnley, Bournemouth and the big match against Man Utd just before Christmas, it would put them in a much stronger position heading into the New Year. Although Klopp has had some concerns with players ill and injured earlier in the week, luckily Sadio Mane and Joe Gomez are expected back in the line up for the Everton match. Unfortunately Adam Lallana is still in doubt for the Liverpool v Everton match on Sunday while Oxlade-Chamberlain is still missing due to an ACL injury. Everton come into the the upcoming Merseyside Derby sitting in 6th place in the Premier League table on 22 points with 6 wins, 4 draws and 3 loses under their belt. Marco Silva’s side have had a pretty average start to their 2018-19 Premier League campaign, but they seem to have turned things around recently, only losing 1 of their last 7 fixtures. Everton haven’t actually managed to secure a victory against Liverpool in any competition since the 17th of October back in 2010, when they bagged a 2-0 victory at Goodison Park. Silva’s squad may have beaten Cardiff in their match last weekend, but Liverpool will be entirely different, and it will be a big ask for Everton to beat their on-form Merseyside rivals. Luckily Silva doesn’t have any major injury worries to contend with ahead of the derby match, and while a win would be a dream outcome for Everton, a draw result is more realistic. Liverpool and Everton have played each other a total of 282 times over the years with The Reds currently having the upper hand having won 118 of the fixtures, compared to 82 for Everton. There have been 52 Liverpool v Everton matches in the Premier League era, with Liverpool having the upper hand again with 22 victories compared to Everton's 9 wins. Liverpool's wins are fairly evenly distributed with 12 home and 10 away wins, which is in stark contrast to Everton who've only managed 2 away wins over those 52 fixtures. Everton have managed to keep Liverpool at bay in the last 2 fixtures though, having drawn 1-1 at Anfield in December of last year and then a 0-0 draw at home in April earlier this year. The last 6 Merseyside Derbies to have taken place in the Premier League have resulted in 3 wins for Liverpool, 0 wins for Everton as the other 3 matches all ended in draws. The last Premier League fixture between these two sides occurred on the 7th of April earlier this year with the match at Goodison Park ending in a goalless draw. The last match where Liverpool played Everton at home at Anfield Stadium was when they met in the FA Cup on the 5th of January in 2018 with Liverpool winning 2-1. James Milner scored a penalty in the 35th minute before a goal from Gylfi Sigurðsson pulled Everton level only for Virgil Van Dijk to win the match for Liverpool in the 84th minute. The biggest wins that Liverpool have ever had over Everton in the Premier League were a couple of 4-0 victories at Anfield in January of 2014 and then again in April of 2016. The highest score that Everton have ever beaten Liverpool by in the same competition was the 3-0 win on the 9th of September in 2006 when they played each other at Goodison Park. A total of 40,004 attended this particular Merseyside Derby and witnessed Tim Cahill giving Everton the lead and then a double from Andrew Johnson completing the victory. Looking at the last 5 fixtures that Liverpool have played in all competitions, they've won 2, drawn 1, and lost 2 scoring a total of 7 goals (1.4 goals per game), and conceding a total of 5 goals. Everton's stats for their last 5 matches in all competitions is won 3, drawn 1 and lost 1. They've scored the same number of goals as Liverpool have (7 in total), but only let in 3 goals. Arsenal v Spurs > Best odds, betting offers & price boosts!